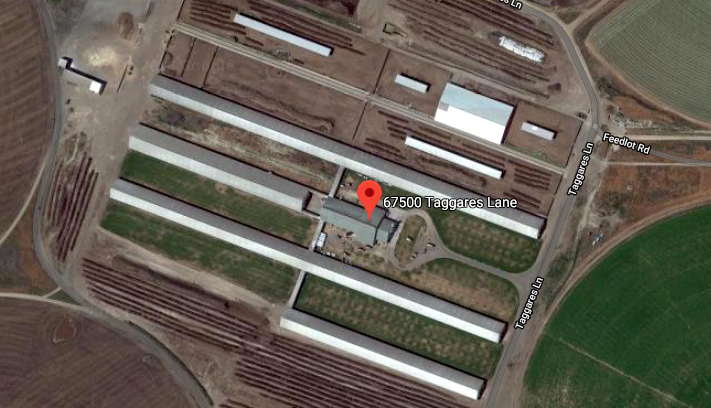 The headline that ran in the Oregonian is a good introduction to the latest news on the situation at Lost Valley Farm: "U.S. Department of Justice wants to take over mega-dairy over gambling, meth, money management." Apparently the feds are taking a narrow view of Lost Valley owner Greg te Velde's withdrawals of more money from dairy accounts than is allowed by the bankruptcy court, as well as his use of some of the money for weekly gambling junkets, according the article. It goes on to say that the Justice Department is seeking to have a trustee take over the bankruptcy proceedings to prevent te Velde from siphoning funds for his own pursuits whenever he feels like it. "According to court documents, te Velde said he spends $2,000 and $7,000 a month gambling at the Tachi Palace Casino and Hotel in Lemoore, California," the article states. "The 60-year-old dairyman also said he continues to smoke methamphetamine, a habit he said he picked up in college, including in the two days before his July 13 bankruptcy interview with creditors." 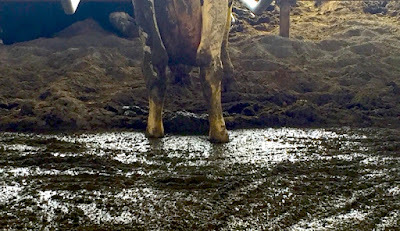 Milk cows at Lost Valley standing in overflowing manure from leaking lagoons. 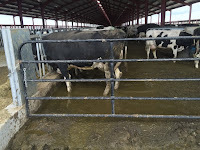 In early July the Oregon Department of Agriculture (ODA), which had issued an operating permit for Lost Valley Farm just over a year ago despite te Velde beginning construction without proper permitting and never completing construction of the required manure lagoons to protect the area's groundwater, has asked a judge to impose criminal contempt of court charges against te Velde and issue remedial sanctions that would effectively shut down the dairy within 60 days, according to an article in the Salem Statesman-Journal. I spoke with Wym Mathews, Program Manager for the ODA's Confined Animal Feeding Operations, who said that the contempt hearing was held on July 27th and will be continued on August 24th, at which time the ODA is hoping for a decision from the judge in the case on te Velde's violation of the stipulated judgement to clean up the facility. 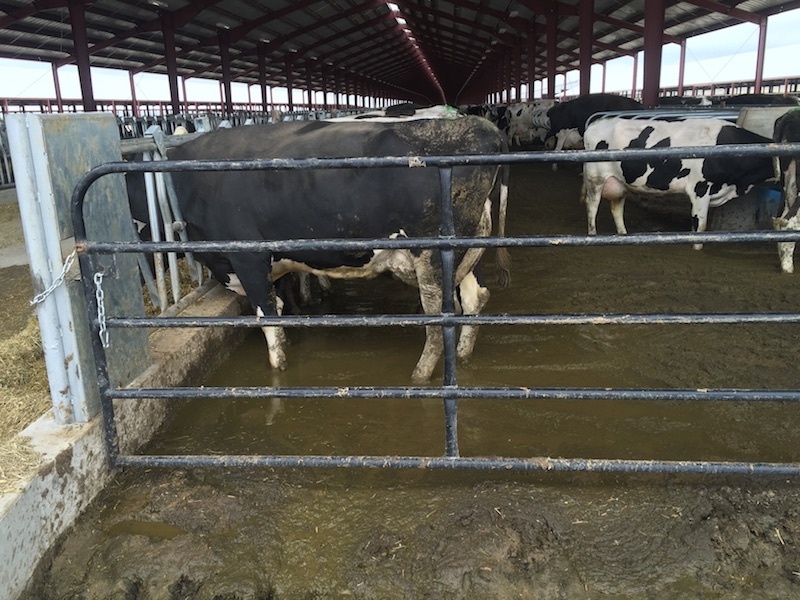 The ODA had issued a revocation of the dairy's waste management permit in late June due to contamination it said had been seeping into the soil in an area where groundwater is endangered and legally protected, among many other problems cited at the dairy. Aerial photo shows half-mile long barns at Lost Valley. Though the stipulated judgement initially indicated that ODA inspectors would be monitoring Lost Valley on a weekly basis to monitor operations and make sure the requirements of the judgement were followed, Matthews said that inspectors are only able to be on premises on a semi-weekly basis. 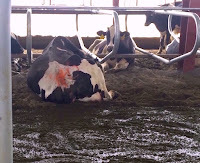 He said that once the court charges te Velde with contempt, that starts a 60-day clock for te Velde to either clean up or shut down the dairy. He added that a complete shutdown would still require te Velde to remove the accumulated waste from the property and clean out all the facilities. 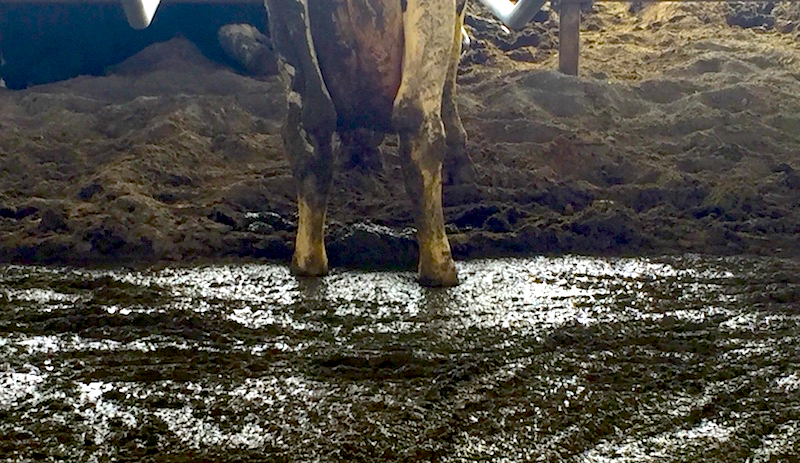 At last count on July 25th, Matthews estimates that just under 7,000 cows were still being milked at the facility, and that Tillamook Creamery's processing plant in Boardman is still buying the milk from the dairy. That is despite Tillamook's claims in bankruptcy hearings in June that the milk from Lost Valley violated their testing standards for safe levels of bacteria on at least 60 occasions. 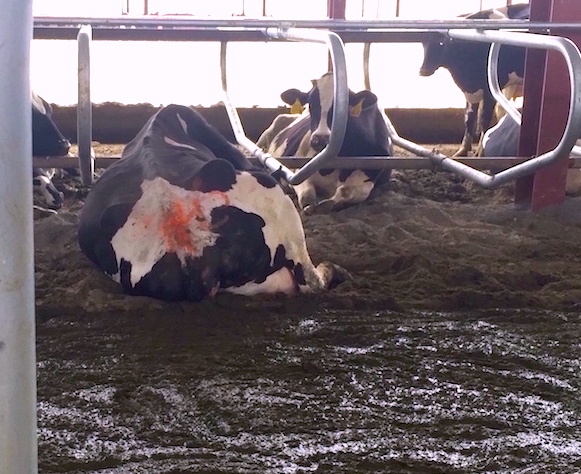 Milk cows laying in manure from leaking lagoons at Lost Valley. So it looks like Lost Valley will continue operating until at least late October, assuming the 60-day clock to clean up or shut down the mega-dairy starts ticking on August 24th. Which means it will continue spewing toxic pollutants into our state's air and water and placing the health of the people in nearby communities at risk. Let's hope Oregon's legislators and the ODA learn a lesson and pass sensible permitting rules in the next session of the legislature so that this sort of disastrous situation can't happen again. I contacted the Tillamook County Creamery Association to confirm that they are still buying milk from Lost Valley, but they had not returned my call by the time of posting.